As a web developer one of the most frustrating things to deal with is feedback during the design, development and review processes. People send emails, create spreadsheets, write documents or use project management software. Everyone has a different way to store and send their feedback. The problem is none of it is actually where it should be, right on the website. Instead you need to flip back and forth between the site and whatever or wherever the feedback is. I developed PageProofer as a time saving solution to this problem. 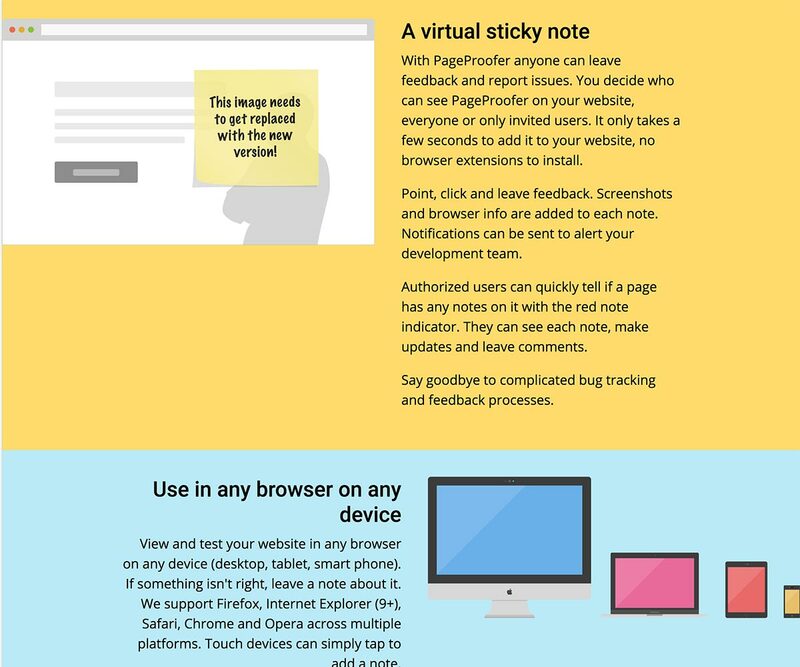 PageProofer allows you to leave feedback and notes directly on a website, just add a simple code snippet (think Youtube embed code) and the rest is done. 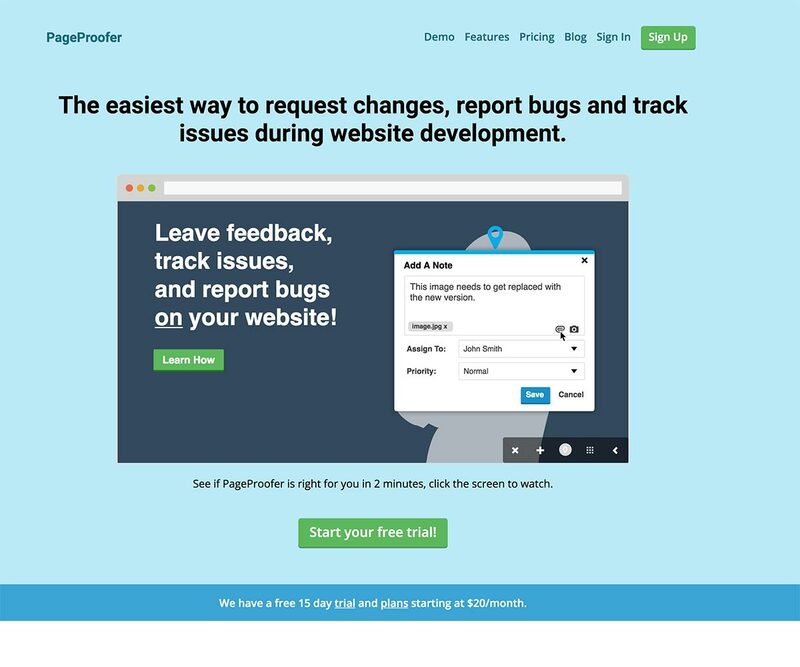 If you are interested, checkout PageProofer and sign up for a free trial.